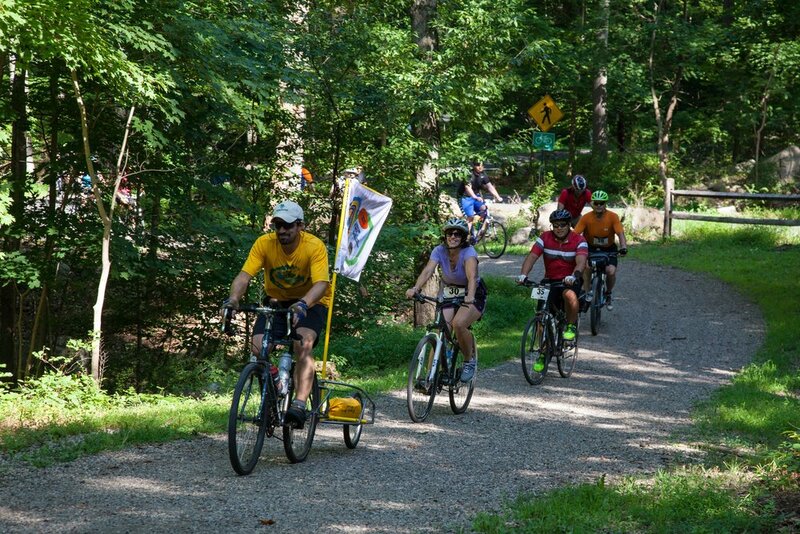 The Perkiomen Trifecta highlights the Perkiomen Watershed Conservancy's signature adventure events, the Lenape Survival Challenge, the Perkiomen Creek Sojourn, and the Perk to Pub Bicycle Adventure. These three events lead the charge as the three premier recreation events in the Perkiomen region. Grab a friend and dare to do all three. are entered into a drawing. Join us for the adrenaline pumping Lenape Survival Challenge. This 5-mile running and 2-mile canoeing adventure race pits teams of two or solo participants against one another as they race around the hills and woods of Schwenksville then down the mighty Perkiomen. This relaxing 8-mile paddle on the Perkiomen creek takes participants winding through the hidden forests and hollows of the beautiful Perkiomen Valley. This biking adventure follows the Perkiomen Trail and ends in Green Lane Park. After the bike there will be plenty of time to enjoy the park, some great food and refreshing brews. The Trifecta 30 - Run 5 miles, Paddle 10 miles, Bike 15 miles!